Information about tradeshows, exhibitions, seminars and conferences in Singapore. The hub of Asia, this vibrant island city is a city of high rises and giant shopping malls nestled amongst lush tropical greenery. 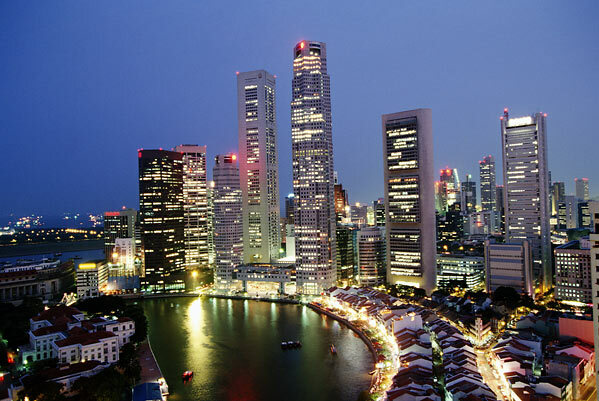 A melting pot of cultures and cuisines, Singapore is a microcosm of the world. Besides being a shopper's paradise, Singapore is a happening city and an ideal destination for social, cultural and business events. Singapore will also host the first night race on a street in the Formula One Circuit. For historical reasons the national language of Singapore is Malay, and it is used in the national anthem, "Majulah Singapura". The official languages are English, Malay, Mandarin and Tamil. Due to diverse inhabitants you could find a variety of cuisin & a perfect example of cultural diffusion. You can find a a diverse range from Hainanese chicken to satay. The India flavor could be found in dishes like sambhar & rice which traditionally is served on a banana leaf. Visit Singapore to experience a truly Uniquely Singapore experience.